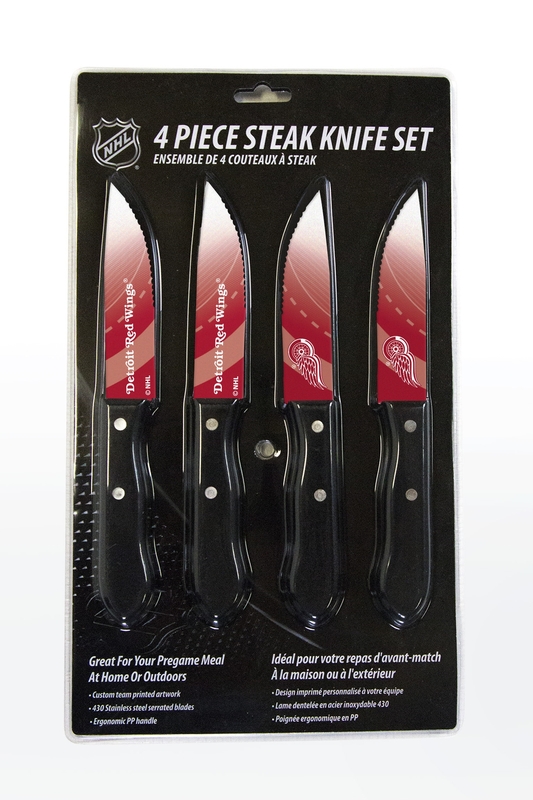 Be a cut above the competition with the Nhl officially-licensed Detroit Red Wings Steak Knives Set of 4. The Red Wings team logo is displayed on both sides of each of the blades, along with the team's brilliant color scheme on the handle. Each knife is equipped with an ergonomic, soft-grip polypropylene handle with non-slip technology for maximum comfort and durability. All knives in this set of 4 are serrated for ease of use with no need to sharpen. 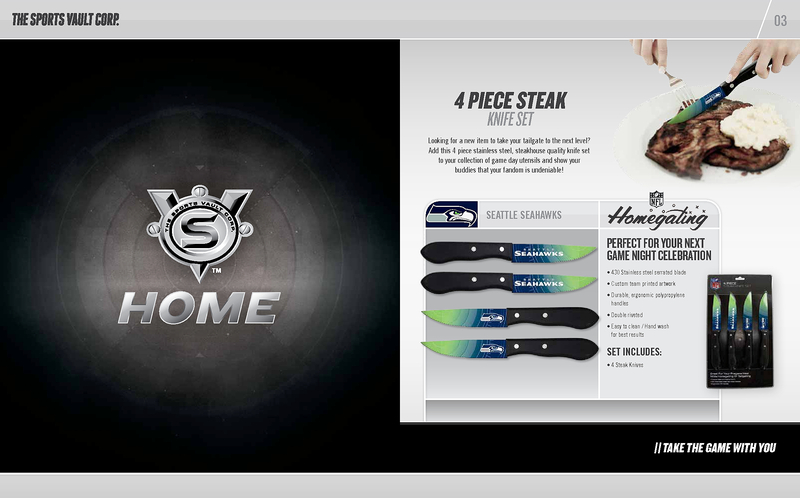 Every knife is sure-coated, ensuring team colors and logos will remain vibrant throughout the life of the blades. All knives in the set have passed all applicable food safety ratings. The Detroit Red Wings Steak Knives Set of 4 will be a fan favorite at your next tailgate party or game night celebration. Awesome as a gift for a fellow fan or for personal use, the Detroit Red Wings Steak Knives Set of 4 scores the winning goal! 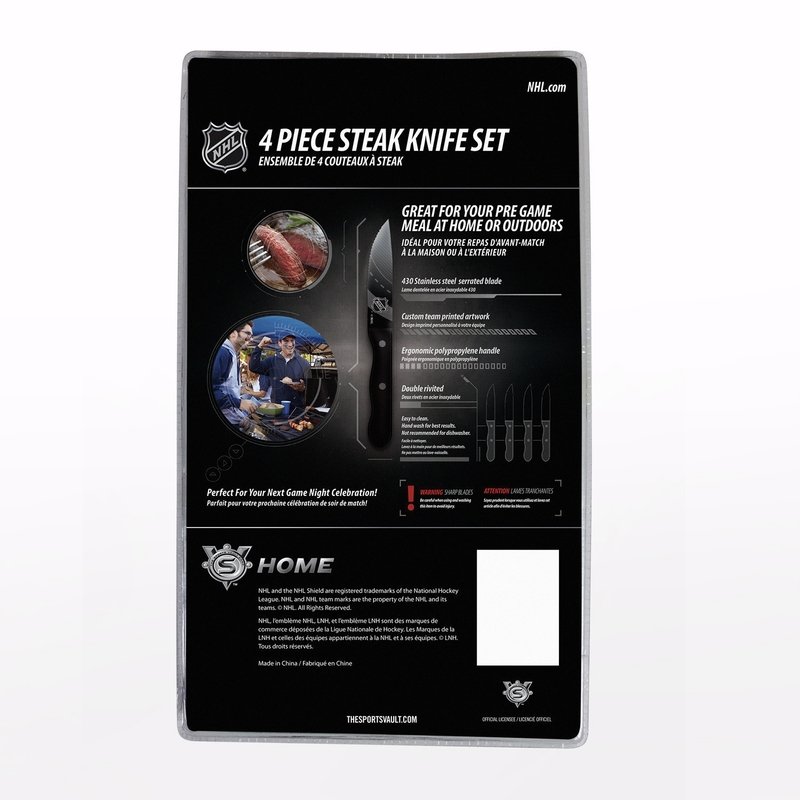 Get in the game and order the Nhl officially-licensed Detroit Red Wings Steak Knives Set of 4 now.